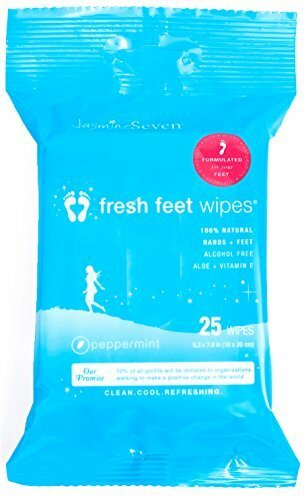 Jasmine Fresh Feet Wipes. 25 wipes. In peppermint. 100% natural, for hands + feet. Alcohol Free. With Aloe + Vitamin E.